A chemical found in our breath could provide a flag to warn of dangerously-low blood sugar levels in patients with type 1 diabetes, according to new research from the University of Cambridge. The finding, published in the journal Diabetes Care, could explain why some dogs can be trained to spot the warning signs in patients. Claire Pesterfield, a paediatric diabetes specialist nurse at Addenbrooke’s Hospital, Cambridge University Hospitals NHS Foundation Trust has type 1 diabetes, which requires insulin injections to manage blood sugar levels. She also has a golden Labrador dog that has been trained by the charity Medical Detection Dogs to detect when her blood sugar levels are falling to potentially dangerous levels. Hypoglycaemia – low blood sugar – can cause problems such as shakiness, disorientation and fatigue; if the patient does not receive a sugar boost in time, it can cause seizures and lead to unconsciousness. In some people with diabetes, these episodes can occur suddenly with little warning. Given the reports of dogs alerting owners to blood glucose changes, researchers at the Wellcome Trust-MRC Institute of Metabolic Science, University of Cambridge, believed that certain naturally-occurring chemicals in exhaled breath might change when glucose levels were low. In a preliminary study to test this hypothesis, the scientists gradually lowered blood sugar levels under controlled conditions in 8 women, all around their forties, and all with type 1 diabetes. They then used mass spectrometry – which look for chemical signatures – to detect the presence of these chemicals. The researchers found that levels of the chemical isoprene rose significantly at hypoglycaemia – in some cases almost doubling. They believe that dogs may be sensitive to the presence of isoprene, and suggest that it may be possible to develop new detectors that can identify elevated levels of isoprene in patients at risk. “Isoprene is one of the commonest natural chemicals that we find in human breath, but we know surprisingly little about where it comes from,” says Dr Mark Evans, Honorary Consultant Physician at Addenbrooke’s Hospital, University of Cambridge. “We suspect it’s a by-product of the production of cholesterol, but it isn’t clear why levels of the chemical rise when patients get very low blood sugar. In a new effort, researchers from the University of Pennsylvania and Baylor College of Medicine have used advanced imaging technology to fill in details about the underlying cause of canine diabetes, which until now has been little understood. For the first time, they’ve precisely quantified the dramatic loss of insulin-producing beta cells in dogs with the disease and compared it to the loss observed in people with type 1 diabetes. “The architecture of the canine pancreas has never been studied in the detail that we have done in this paper,” said Rebecka Hess, professor of internal medicine at Penn’s School of Veterinary Medicine and an author on the study. Despite important differences between the disease in dogs and humans, the study also identified key similarities that suggest investigating diabetes in dogs may yield valuable insights into treating humans. The research was led by Emily Shields, currently a graduate student in Penn’s Perelman School of Medicine, who completed much of the work as a high school and then college student in labs at Penn and Baylor. Canine diabetes can be managed with insulin, similar to type 1 diabetes in humans. But, unlike the human version of the disease, dogs typically develop diabetes in middle or old age, while people with type 1 diabetes are typically diagnosed during childhood. In addition, while type 1 diabetes is known to be an autoimmune condition, researchers haven’t found conclusive evidence that the same is true in dogs. To learn more about the factors that contribute to canine diabetes, the researchers made use of a repository of donated tissue samples from dogs — 23 with diabetes and 17 without — who had been treated at Penn Vet’s Ryan Hospital. The team used robotic microscopes that can rapidly move around a slide taking images of pancreas tissue samples, which were analyzed by computer to determine the contents. They found that beta cells dropped off in dramatic fashion in diabetic dogs, reduced 13-fold compared to non-diabetic animals. They also found that non-diabetic canine islets contained a large percentage of beta cells, comprising about 80 percent of endocrine cells. 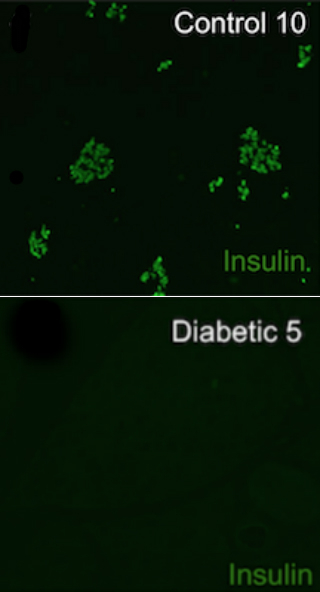 In contrast, beta cells comprise slightly more than 50 percent of endocrine cells in non-diabetic human islets. The researchers noted that this may mean that dogs need to lose more beta cells before experiencing symptoms of diabetes. The observation could explain why dogs develop a form of diabetes that is similar to type 1 diabetes, but do so later in life, compared to humans. They also identified features of the islets and pancreatic structures that were different in dogs than in humans. “In sharp contrast to human diabetes, in which there are a lot of islets still present but none contains insulin, we found in dogs that only a few beta cells were present and the islets were incredibly small,” Kushner said. Though the work highlights differences between canine and human diabetes, it also points to a number of similarities that distinguish the two from diabetes in rodents, which are often used as models to study the disease. For example, the scientists observed that dogs’ beta cells were distributed throughout the islets, as beta cells in humans are. In rodents, beta cells are concentrated in the center of the islet. “Now that we know more about the disease in dogs and in particular how they are similar to humans in ways that rodents are not, it makes them more appealing as a model,” Kushner said. At Penn, Hess is currently working to look for genetic markers in dogs that heighten a dog’s risk of developing diabetes. “My hope is that with genetic screening we can eventually identify pre-clinical diabetic dogs, potentially making breeding recommendations that could decrease the incidence and prevalence of the disease in dogs,” Hess said. Many holistic veterinarians are now recommending the use of cranberries in the long-term treatment of pets who are susceptible to urinary tract infections, or UTI. Diabetic dogs, in particular, seem to develop UTI more regularly than the normal dog population. Spayed females are also more susceptible to infections. 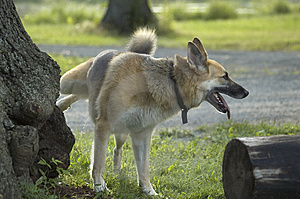 When a dog has a UTI, they often struggle to eliminate urine or, when they do pee, not much comes out. Sometimes blood is seen in the urine, the urine may smell stronger, or it has a dark colour. If your dog has a UTI, then seeing your veterinarian for antibiotics is essential. A urinary tract infection left untreated means your dog is uncomfortable and in pain and if the infection travels to the kidneys, then your dog is in serious trouble. 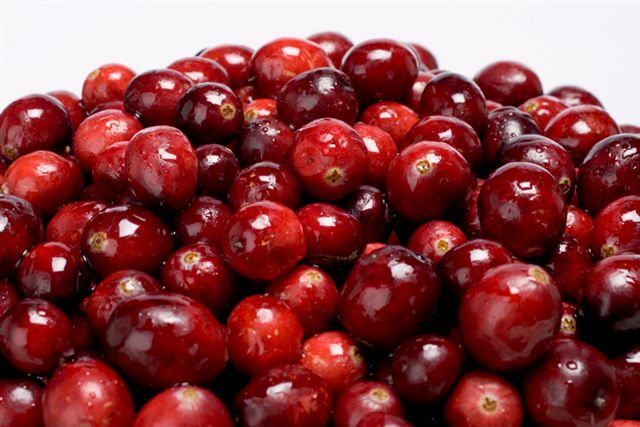 Cranberries can assist when your dog is being treated for a UTI because cranberries help to acidify the urine which helps to prevent bacteria growth. But what about prevention? This is where the cranberries come into their own. Not only does the cranberry acidify the urine, but studies show that they have the ability to prevent bacteria from sticking to the walls of the bladder and urinary tract and so they minimise the chance of an infection recurring. Some owners treat their dog with cranberry powder because the juice is tart and unpalatable. Owners must be careful because lots of cranberry juices are full of sugar (that’s a warning for humans as well as pets). I’m working on a wheat-free cranberry biscuit recipe now that will feature as the January/February special. I’ve just perfected my recipe and the latest batch is looking great – with the added benefit of no artificial colours! In order to prevent recurring urinary tract infections, it’s also really important to ensure your dog has lots of fresh, clean water to drink and has lots of opportunities to go outside and pee. For diabetic dogs, care must be given to their daily diet to manage their blood sugars (another reason to watch the sugar content of any cranberry supplements). University of Liverpool researchers have found that obese dogs can experience metabolic syndrome, a condition that describes multiple health issues that occur in the body at the same time. Obese humans suffer from the same syndrome. 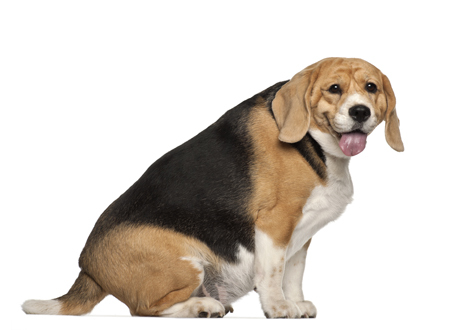 In a study of 35 obese dogs, 20% had metabolic syndrome. These dogs had increased blood insulin which suggests that the pancreas is working harder than normal. Blood adiponectin, a protein produced by fat cells that helps control sugars and fats, was also at lower levels than normal. The metabolic abnormalities improved when the dogs successfully lost weight. The research team admits that they have to study the impacts in more detail to understand the health implications of metabolic syndrome. However, why wait for more studies? 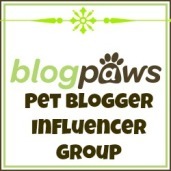 If your dog is overweight we already know that their quality of life improves with weight loss.